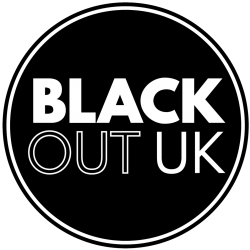 BlackOut UK Event: Is being Black and Queer Bad for your health? Mental health challenges, HIV stigma, family rejection, homophobia, economic insecurity, intimate partner violence, taking risks, negative body image, drugs and alcohol abuse . . . Black LGBTQ life in Lambeth is not always easy. How can we work together with our public services to care for ourselves and each other? Join other Black LGBTQ people who live work or play in Lambeth to hear the latest plans to support the health and wellbeing of our community and share your views on how to make improvements with the people leading change. BlackOutUK and Black Thrive, Lambeth’s Partnership for Black Health and Wellbeing, invite you to the first of BlackOutUK’s deliberative dinners. Delicious Deliberations is a challenging, enlivening and inspiring gathering where Black LGBTQ share our insights and experiences with each other and directly with those tasked with delivering services, supporting and/or representing us in order to improve policy, practice and outcomes for Black LGBTQ people. Placing the voices, experiences and needs of Black LGBTQ people at the centre of our discussions, we will hear from public servants, political leaders, campaigners and activists; share our thoughts and responses, and set the agenda for further work with our peers and public servants to improve outcomes together. We have too few spaces for solidarity among members of diverse Black LGBTQ communities, so join us in creating spaces for networking, shared learning and collaboration. The evening begins with a live recording of an expert debate, followed by the twenty guests sitting down to a meal together for some real talk.